Not the type of granny you'd like to mess with. 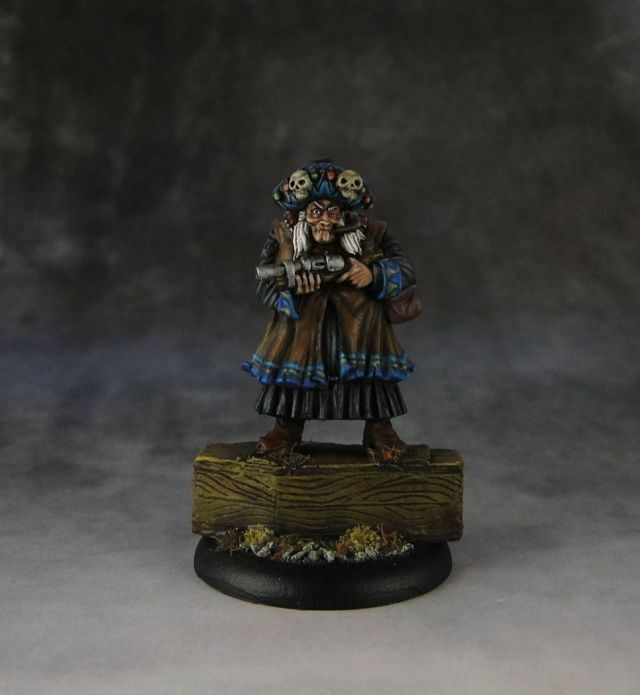 Abuela is another sculpt from the range that I really like. Her face is particularly well sculpted with a gaze full of confidence malice. Painting her was overall a nice experience but I needed to pay a lot of attention to flat surfaces while highlighting. I tend to keep the colors dark while I paint but I wanted to try some more vivid shades here to go well with what I think is a reference to Santa Muerte cult. So basically this is bright and vivid in my painting style. Her face is the key element as it conveys all the emotions so I made sure to add a few well placed highlights there to make sure her facial expression is clearly visible. I'm pretty happy with how her skin tone tujrned out as I used only two paints and one wash there (VGC Heavy Skintone, P3 Ryn Flesh and Army painter Soft Tone). 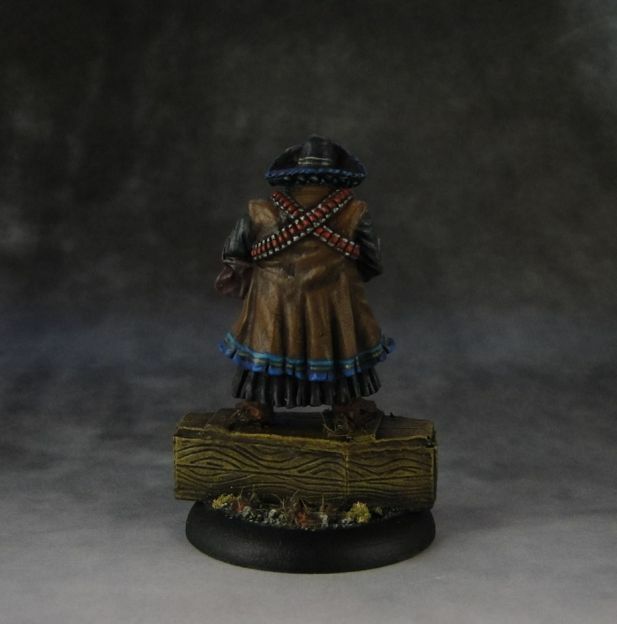 Man i gotta get me some malifaux! My favourite of the Ortegas. Fine job on the face!